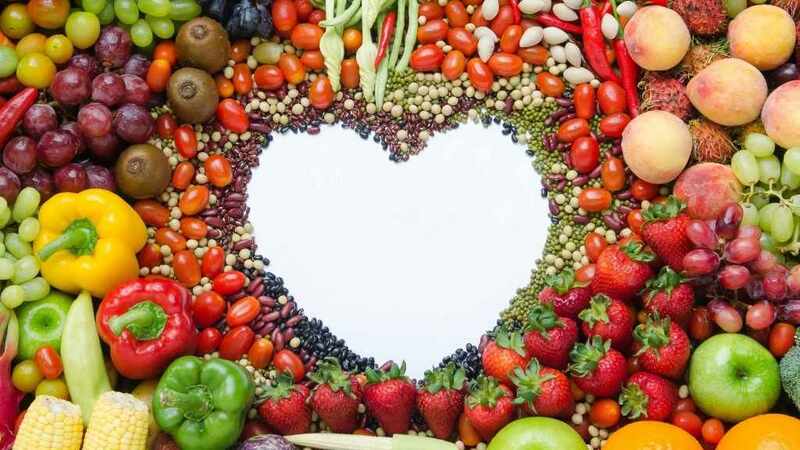 Do you want to adopt a heart-healthy diet, but aren't sure where to start? Heart-healthy eating doesn't have to be difficult. Use these menus provided by Mayo Clinic Staff to get started. One way to begin is to create a daily meal plan that emphasizes vegetables, fruits and whole grains and limits high-fat foods (such as red meat, cheese and baked goods) and high-sodium foods (such as canned or processed foods). Below are two days' worth of heart-healthy menus. Use them as examples of heart-healthy eating. 16 g polyunsaturated fat; 126 mg cholesterol; 1,257 mg sodium; 207 g total carbohydrate; 24 g dietary fiber; 92 g protein. Nutritional information: 1,605 calories; 30 g total fat; 10 g saturated fat; 10 g monounsaturated fat; 6 g polyunsaturated fat; 126 mg cholesterol; 1,264 mg sodium; 242 g total carbohydrate; 24 g dietary fiber; 83 g protein. Drink water as a calorie-free way to hydrate.